AITO is the Association for independent and specialist holiday companies. Their member companies, usually owner-managed, strive to create overseas holidays with high levels of professionalism and a shared concern for quality and personal service. The Association encourages the highest standards in all aspects of tour operating. 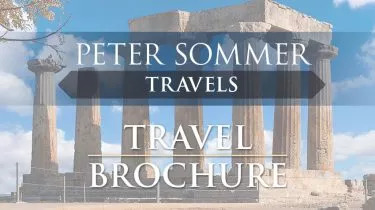 Peter Sommer Travels is a member of the Association of Independent Tour Operators. To contact the Association, visit www.aito.com or call 020 8744 9280.